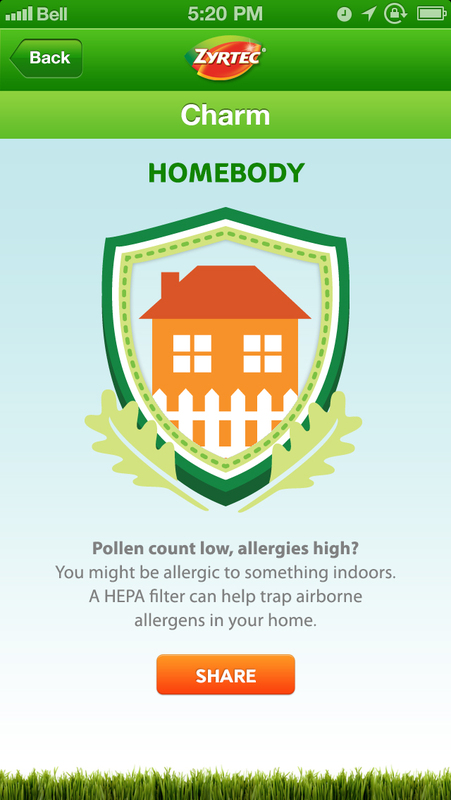 The first app that learns what you're allergic to, and teaches you exactly why you're sneezing. 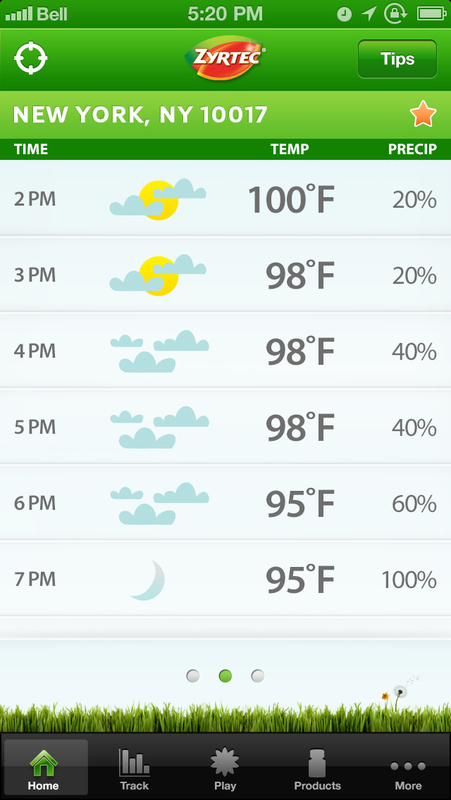 It triangulates pollen, weather and your symptom log, and gamifies the whole experience. 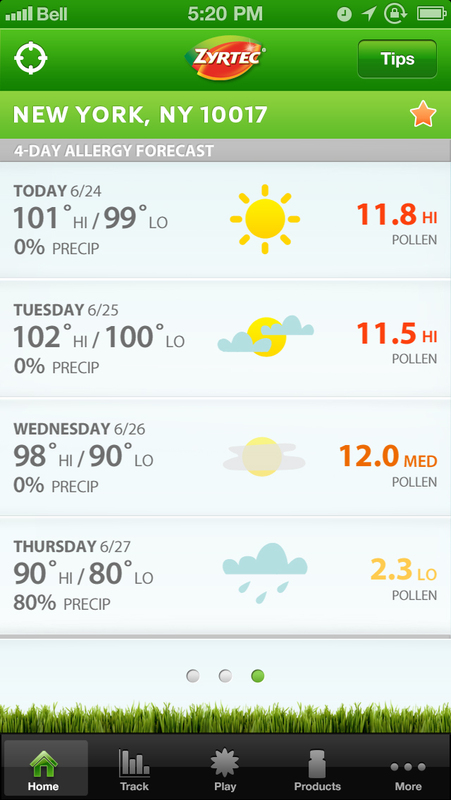 Users get pollen and extended weather forecasts together, to help them plan their day. 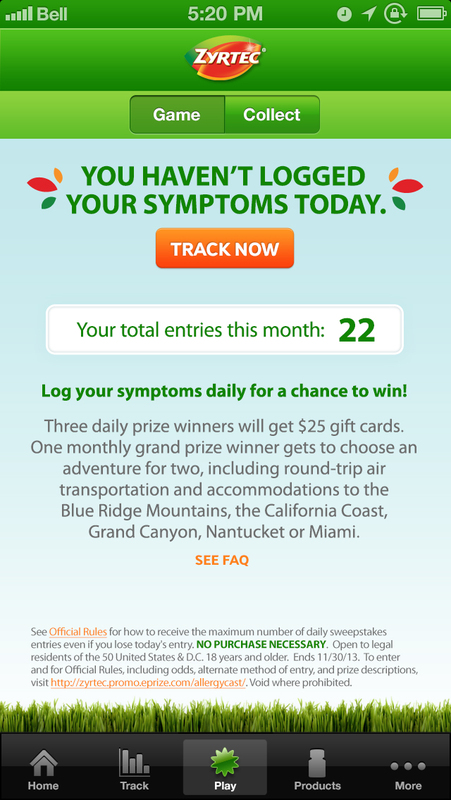 Users can log their symptoms and track how they're feeling. Every day they log, they get entered into a daily sweepstakes. They can choose to get even more entries in the daily sweepstakes by spinning the wheel. But if they happen to land on an allergen, they lose that day's entry. Users unlock charms as they log and reach certain milestones. 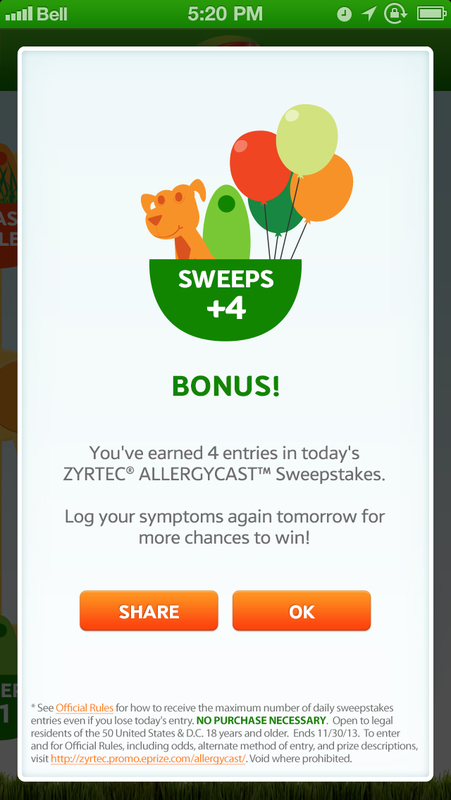 'ZYRTEC® AllergyCast' Is Now a TOP 10 FREE iPhone WEATHER APP! - http://t.co/1TIo9Z9j - Ragweed? Bluegrass? Will It Be Sunny or Cloudy? 70 degrees in #SanFrancisco today! Med pollen count according to my cool @Zyrtec Allergy Cast app. Laptops poolside! Features: LA Times, CIO, Healthline, etc. Awards: Gold Healthcare Clio, One Show Bronze Pencil, Young Guns Award, Webby Honoree, Effie Finalist, Young Guns Award, etc.